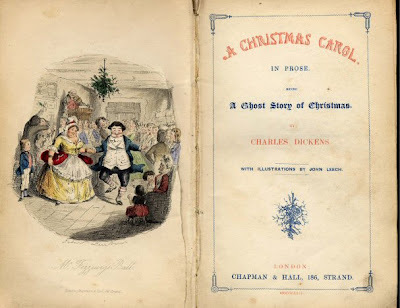 Dickens began writing his "little carol" in October, 1843 finishing it by the end of November in time to be published for Christmas with illustrations by John Leech. Feuding with his publishers, Dickens financed the publishing of the book himself, ordering lavish binding, gilt edging, and hand-colored illustrations and then setting the price at 5 shillings so that everyone could afford it. This combination resulted in disappointingly low profits despite high sales. In the first few days of its release the book sold six thousand copies and its popularity continued to grow. The first and best of his Christmas Books, A Christmas Carol has become a Christmas tradition and easily Dickens' best known book. A Christmas Carol : In prose. Being a ghost story of Christmas . London : Chapman & Hall, 1843. The first edition of the greatest of all Christmas books. 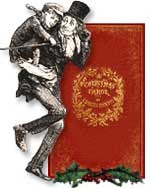 The manuscript of A Christmas Carol is held in the Morgan Library in New York City. What's remarkable about Carol is that Dickens appears to have made no working notes, no plans, no earlier drafts - certainly none survive. It is a 68-page manuscript kept inside a glass case and the Morgan Library exhibits a different page of Carol every year at Christmas time. The manuscript was acquired by the Library's patron, the omnivorous collector JP Morgan, in 1890s and was passed on to the American nation after his death in 1913, along with the rest of his collection. 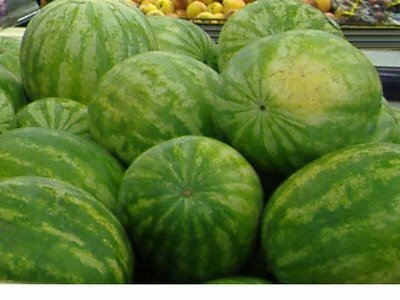 It is a timeless classic and a great choice for this week's theme! That is cool. I had no idea that the original manuscript still existed. That is a priceless treasure of a great work of literary art. That book, is by far one of my favorite Christmas stories! What is even more amazing is the number of productions of the play and/or the theme stolen for some variation. That's what happens when a story is just plain magic. You look like someone who is ready for Mo's book club on Wednesday!! Very interesting I didn't know that ! You are more intelectual for this word interpretation then I was ! I had no idea what to write, lol ! I love this story. Normally it's hard for me to get excited about Christmassy things, but this story is always fun to read or hear. I think the local NPR station does a dramatic reading of it every year. 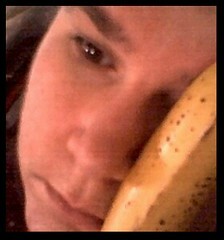 I try to tune in. It's very enjoyable, and Dickens is very good at painting images in my head. 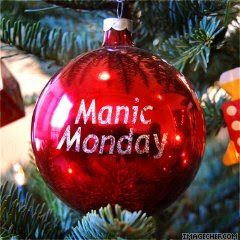 Thanks for doing Manic Monday! Very impressive history Mary! Who doesn't enjoy at least one of the many versions of this. It has definitely stood the test of time. Thanks for your kind comments, CRM, janna, shelia! I own a collection of "Christmas Carol" first editions. It's the only Christmas story I read every Christmas! That's an informative post about Christmas Carol. I don't know that much~! Fascinating! I didn't realize the original manuscript still existed. I'd love to see it some day. Happy Monday! I love that story--I used to adore Mickey's adaptation on tv each year!! I wish I could check out that exhibit! Great post!! Selling over six thousand copies in the first few days seems like an incredible number given the year it was published. Wow. Very interesting post. I always watched this story when I was little and if I catch it I still do :) I think it contains a great message for children. Thanks guys, I appreciate your comments and kind words.